Adele’s sophomore album, 21, came out in January 2011 and then spent the rest of the year breaking international sales records and racking up awards. Stateside, her whirlwind year culminated at the 2012 Grammy Awards at which she won all six of the trophies for which she was nominated—including Song of the Year, Album of the Year, and Record of the Year. Adele is a pretty private person; not much was known outside of the fact that 21 was inspired by a bad breakup with an older guy (who has not been positively identified to this day, despite rabid speculation). 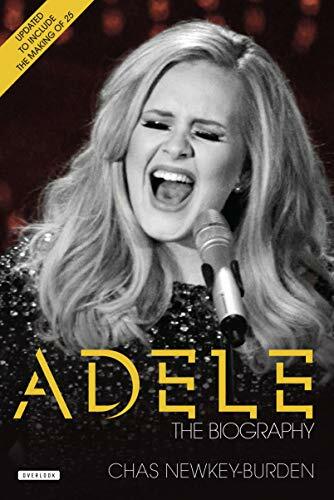 Journalist Marc Shapiro in his latest book Adele: The Biography, set out to change all that. By compiling various interviews and fleshing out a narrative, Mr. Shapiro pieced together a readable backstory to one of the most popular musicians in the world. Although not specifically labeled “Unauthorized,” Mr. Shapiro’s book is not built on any primary sources. At no point did the author sit down with his subject and discuss her life. All of his quotes come from other news outlets or publications (which, it should be noted, were cited). Does this make the book less enjoyable? Not really, but the author is not going to win any literary prizes for his work. The biggest weakness creates by this cut and paste style is a lack of depth. We do not get to learn anything new about Adele. Everything in this book has already been said at some point. For those of us unfamiliar with the Adele canon in its entirety, Adele: The Biography is still able to keep and hold the our attention. Marc Shapiro’s biography is worth the two or three hours it takes to read. It comes across more like a long article from People magazine than an in-depth biographical work. Adele: The Biography would fit perfectly in the waiting room at a doctor’s office—at least it would be more up to date than that Cosmo from 1994.